Maybe you’ve asked yourself why, of all the great music acts to come out of Oklahoma, Leon Russell seems to be the one who still inspires the most intense emotion. When I asked myself that question, I came up with my latest OKLAHOMA Magazine column, which you can find HERE. 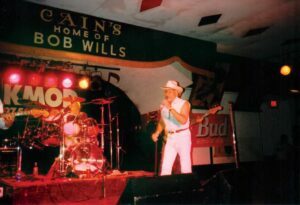 It was somewhere around 15 years ago that my longtime chum Robert A. Brown started sending me letters, usually a page or so long, written with a manual typewriter on authentic 1930s air-mail stationery — and sent with real old air-mail stamps. Something like this might have been surprising coming from anyone else in my life, but I knew how much Robert delighted in reaching into the past, pulling out things that captivated him, and sharing them with others. He was, and is, one of a kind, a great man with a fascinating and unique angle of vision. In the letters, Robert took on the persona of a writer for the the WPA Folklore Project, sent to the hills to collect stories from old-timers There, he finds himself neck-deep in mystery, murder, and, ultimately, a big nest of witches and their animal familiars. It took me some time to realize that these letters could be the foundation for a book (which might have been Robert’s idea all along), and a damned scary one at that. It took us many more years to figure out how to do it, set aside the time to do it right, and hammer it out to each other’s satisfaction. Now, finally, the first one’s done. Thanks to another great friend and fellow writer, Bill Bernhardt, SEVENTH SENSE has just been published by Bill’s Babylon Books. SEVENTH SENSE is the first volume in the trilogy, and I’m happy to say we’ve been getting some swell reviews on Amazon. I’ll be launching SEVENTH SENSE on Wednesday, May 27, at Tulsa’s Magic City Books, 221 E. Archer Street. The event runs from 7 p.m. until 8:30 p.m. Of course, I’d love to see you there. If you can’t make it, though, please check it out online and/or consider ordering it from the store of your choice. Thanks, Magic City. Thanks, Robert. Thanks, Bill B. And thank you all for reading — not just this blog or my new book, but anything. 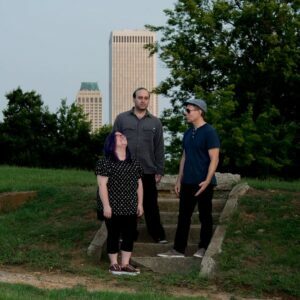 The first time I interviewed bassist Dean DeMerritt, following his return to Tulsa from Atlanta four years ago, he told me he’d read and enjoyed GHOST BAND, my spook novel set in the world of touring musicians. Of course, that made me happy, but I guess it was kind of logical, since Dean spent a significant amount of time on the road with one of the most relentless of all the touring groups, Asleep at the Wheel. He also did lots of work in Fort Worth, playing with acts from blues bands to the city’s symphony orchestra, before heading to Atlanta and putting together a successful group called the Dean DeMerritt Jazz Tribe. Back in Oklahoma, he’s continued his musical quest to make new converts to his music. As he puts it in my new OKLAHOMA Magazine column, “I want people who don’t normally like jazz to listen and say, `Hey, I guess jazz is okay after all.’” To that end, he’s been gigging regularly with a variety of top players and recording discs, including a fine new one with guitarist Sean Al-Jibouri and vocalist Sarah Maud called COMPARED TO NOW. You can read more about it, and about Dean himself, right here. The first of the Red Dirt acts to crack the national charts, Stillwater’s Great Divide has persevered for a quarter of a century. Read their story in my latest OKLAHOMA Magazine column, HERE. 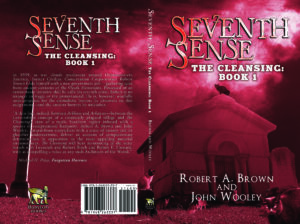 I’m happy to report that the first volume of THE CLEANSING trilogy, my collaboration with longtime pal Robert A. Brown, is now on Amazon. 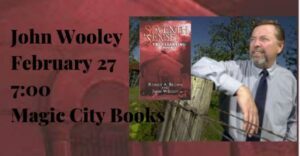 It’s called SEVENTH SENSE, and Robert and I would be grateful to have you check it out. 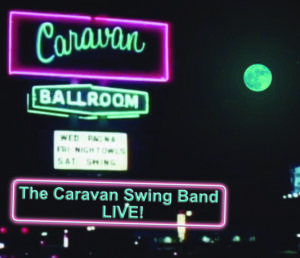 Tulsa’s Caravan Swing Band may have been the best unrecorded band in the history of western-swing music, with ex-Texas Playboys like Glenn “Blub” Rhees. Tommy Perkins, and the incomparable Eldon Shamblin on its roster. In fact, however, it was informally recorded at least once, in 1981, on reel-to-reel tapes during a live show. Now, producers Darrell Dowty and Linda Freeman have put together the best of those recordings onto a new disc. Read all about it HERE, in my latest Oklahoma Magazine column. Like Dr. Frankenstein, Claremore’s Craig Lamb has dug up old parts and stitched them together into something very creepy. Instead of a monster, however, he’s created a new monster Movie. 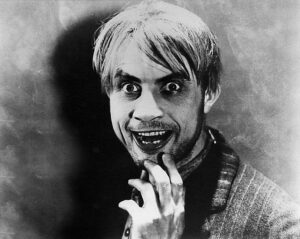 You can read about Craig and his film, Dracula’s Ghost, in my latest Oklahoma Magazine column, found HERE. For decades, the late Bill Davis symbolized Tulsa’s rock ’n’ roll music scene as few others have ever done. I’ve devoted my September OKLAHOMA Magazine column to Bill. You can find it HERE. 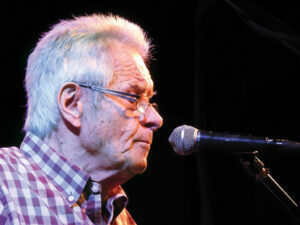 Bill Davis performs with drummer David Teegarden at Cain’s Ballroom. Three veterans of Tulsa’s original punk-music scene have created a brand-new documentary that’s already won a major international award. OIL CAPITAL UNDERGROUND is the subject of my latest OKLAHOMA Magazine column, and you can read all about it HERE. 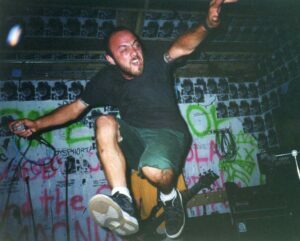 Chad Malone with Brother Inferior performs at Gilman Street, Berkeley, California, in 1999. JImmy Markham is working hard to end a string of bad luck.